REDUCED FAT - 1/3 Less Fat Than Cheddar cheese. Fat reduced from 10g to 6g per serving. 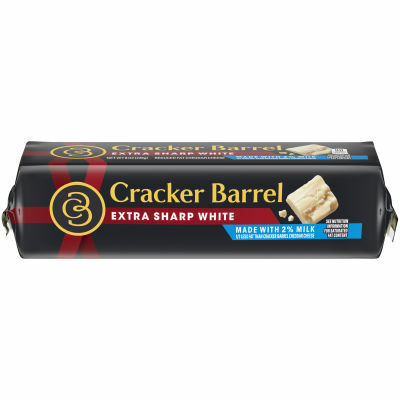 Cracker Barrel Extra Sharp White Cheddar Cheese Made With 2% Milk has a big flavor with a traditional aged cheddar texture. Our high standards come from a belief that cheese making is an art perfected by experts with decades of experience. The deliciously different taste of Cracker Barrel cheese will keep you coming back for more.